Express a lemon or orange zest and garnish with a single cocktail cherry. 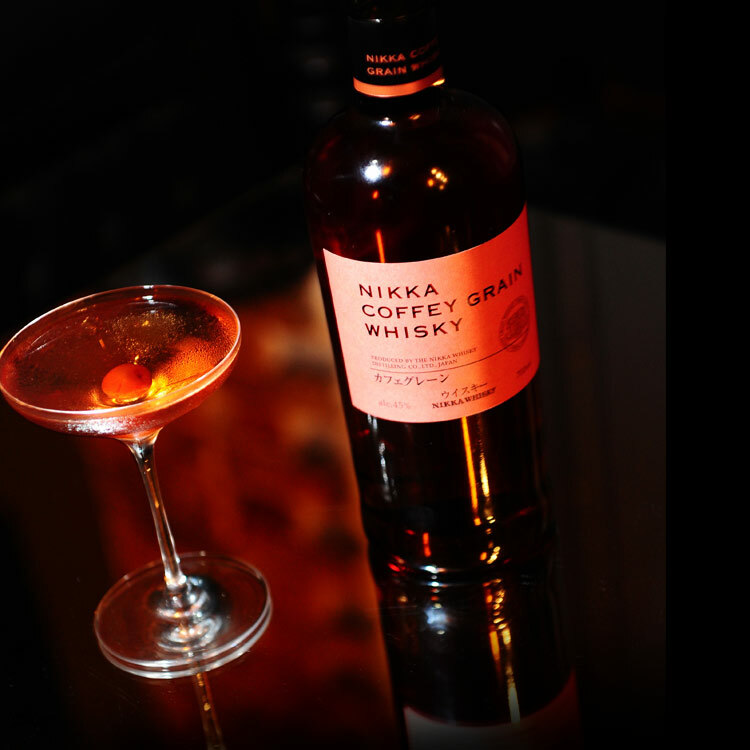 The Perfect Nikka Manhattan was awarded “Best Cocktail” at the Paris Cocktails Spirits bar show in 2013. The exact recipe used for this event used Dolin rouge and Dolin dry vermouths with Angostura bitters.